Home Home Our Work Our Second Crowd Fund raises $15000! 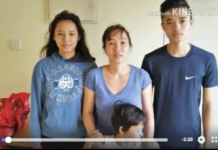 This is Vietnamese failed asylum-seeker Mrs Tran Thi Lua with her three children, aged 14, 11 and 4. Mrs Lua recently lost her appeal against a two-and-a half-year jail sentence for helping organise an “illegal departure” to Australia by boat. Meanwhile, her husband has been detained in Indonesia, his fishing boat and gear confiscated. 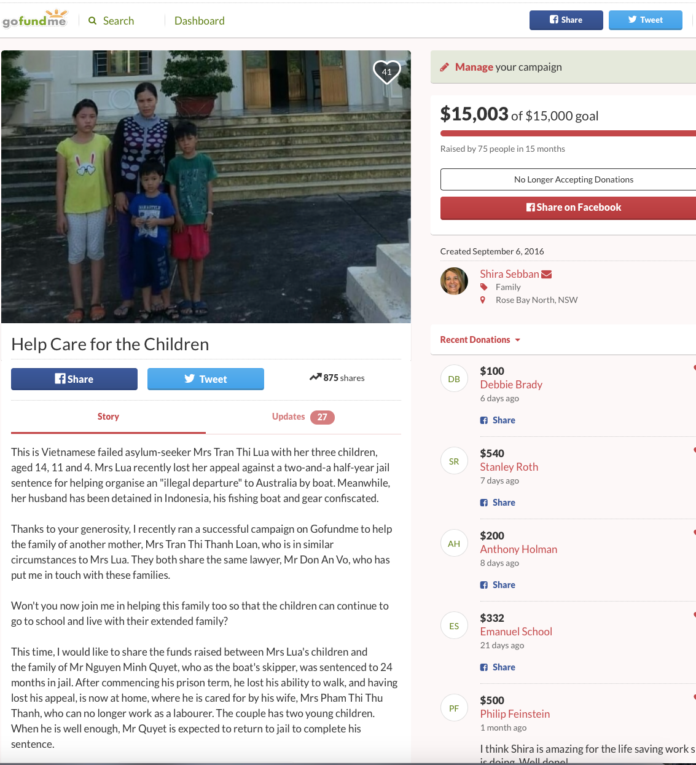 Thanks to your generosity, I recently ran a successful campaign on Gofundme to help the family of another mother, Mrs Tran Thi Thanh Loan, who is in similar circumstances to Mrs Lua. They both share the same lawyer, Mr Don An Vo, who has put me in touch with these families. Won’t you now join me in helping this family too so that the children can continue to go to school and live with their extended family? This time, I would like to share the funds raised between Mrs Lua’s children and the family of Mr Nguyen Minh Quyet, who as the boat’s skipper, was sentenced to 24 months in jail. After commencing his prison term, he lost his ability to walk, and having lost his appeal, is now at home, where he is cared for by his wife, Mrs Pham Thi Thu Thanh, who can no longer work as a labourer. The couple has two young children. When he is well enough, Mr Quyet is expected to return to jail to complete his sentence.